Meanwhile, FTM’s P.A.C.E. Portfolio is Up 16% YTD! Gold is on track for its very first year of annual decline after 12 straight years of annual gains. Gold is down about 25% YTD, silver is down 33%. Hedge funds are more bearish on gold since they have been since 2007. 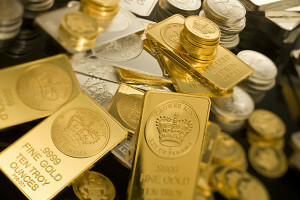 Jerry Robinson and FTMDaily are still bullish on gold and silver moving forward. The flagship fund of prominent Canadian hedge-fund manager Eric Sprott has fallen more than 50% this year in what will likely be the third consecutive year of double-digit percentage losses. Assets collapsed from nearly $3 billion in 2008 to about $350 million today. Sprott is down 50% in 2013, while gold is only down 25% most likely due to overweighting and over-leveraging in precious metals and mining. The Sprott story is not a negative piece on gold and silver, but rather a story about diversification. Diversification, along with a desire to protect against inflation, is one of the main reasons I created the P.A.C.E. Portfolio. Our investing philosophy is called P.A.C.E (P=Precious Metals, A=Agriculture, C=Commodities, E=Energy). In addition to the stocks we hold in the P.A.C.E. categories, we also cushion the portfolio with world-dominating, dividend-paying stocks. Although we have been (and currently are) invested in gold and silver, our exposure to precious metals has only been about 15% in 2013. The advantage of using a portfolio like P.A.C.E. is that you can adjust the exposure to the various assets within the portfolio, whereas someone who is strictly in gold and silver cannot do much besides wait it out if metals are down. The P.A.C.E. Portfolio is up 16% YTD. This proves the power of diversification. Anyone who tells you to put all your money into gold and silver (or anything else for that matter) does not understand this powerful investing strategy. 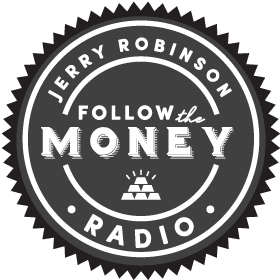 Jerry Robinson interviews Certified Financial Planner, Jay Peroni, who manages our P.A.C.E. Portfolio, as well as manages assets for clients all across the nation. Jay discusses how our precious metals investing strategy allowed us to profit 16% so far in 2013 while having exposure to gold, silver, and even mining companies (both are down double digits in 2013). Next, Jennifer Robinson is here to update our FTM Insiders on Trigger Trading activity for the week. She also shares a special report on the January 2013 Trigger Trade picks… how have these stocks performed year-to-date? The results are in the table below. Jerry Robinson’s Trigger Trade Ideas from January 2013 Up Over 45% YTD. Last January, Jerry Robinson alerted FTM Insiders to seven stocks that he was looking to swing trade: BGCP, RGR, NOV, ALKS, GEVA, VR, and FEIC. If bought and held from the time of the alert, these stocks are now up over 45% YTD! New Trade Alert Issued Daily to Subscribers. All FTM Insiders have access to our Trading Room, complete with training videos, one new daily stock pick, and much more. Precious Metals Advisor, Tom Cloud, joins us for an update on gold and silver. Tom discusses the price of gold and silver, Singapore’s gold storage, and the top precious metals prospect for 2014. Below is a snippet from Tom’s segment. Tom Cloud: “We’ve seen the same type thing in gold, and we’ve seen it get to the $1260′s and clear that $1250 hurdle, and hopefully, it will stay. I still believe with all my heart that the $1180 that we saw back in June will be the lowest we may see the rest of our lives. So, gold, right now, is also a very good buy situation. All the fundamentals we’ve talked about, with China going into the commercial end of the business and selling to central banks and others, are very, very bullish.” Listen for the full report. We have always been a huge fan of creating residual income with rental real estate. We believe rents will continue moving higher in the coming months and years as homeowners flee to the rental market. Young adults burdened by student loans and a slowing economy, coupled with a tightened lending environment, will be forced to rent instead of own, which will be great for real estate investors. Recently, Jerry Robinson caught up with real estate veteran, Cynthia Goda, who has been investing in real estate for 30 years. We asked her about what to look for in a rental property. What she has to say is vital for anyone who is thinking about or who is already investing in real estate. 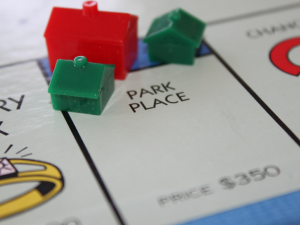 Should I Invest in Multi or Single-Family Homes? Should I Invest in Farmland? 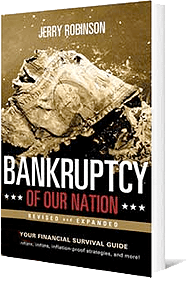 Can I Invest With Poor Credit History or Even a Bankruptcy? Not an FTM Insider? Learn more here. New findings by the University of Utah reveals that Yellowstone’s magma chamber is 2.5 times larger than previously thought… and if it blows, it will wipe out America – and have enormous impacts on the rest of the world. In recent years, the idea that Gulf countries should fully integrate with a European-style Union has been heavily promoted by the Saudis. Riyadh has called for an enhanced union with fellow Gulf Cooperation Council states Bahrain, Kuwait, Oman, Qatar and the United Arab Emirates, which together account for 40 percent of the world’s oil reserves and a quarter of its natural gas. Saudi Arabia and its Gulf Arab neighbors wrapped up a summit meeting in Kuwait on Wednesday by agreeing to establish a joint military command, paving the way for tighter security coordination even as their regional rival Iran pursues outreach efforts in the wake of its interim nuclear deal. The six-member Gulf Cooperation Council also agreed to lay the foundations for a joint Gulf police force and a strategic studies academy. According to Saudi Assistant Foreign Minister Nizar Madani: “Gulf countries should no longer depend on others to ensure their safety,” and instead the oil-rich monarchies “must unite under one political entity in order to face internal and external challenges.” (Translation: The days of the GCC relying upon the U.S. to protect Gulf oil fields from regional threats are all but over.) FTMDaily believes the Gulf Cooperation Council (GCC) could introduce a new single currency backed by gold, the Euro, the Yuan, or a basket of currencies, as early as next year. This will present a major challenge to the U.S. dollar and the fragmented petrodollar system.